Shirts With Random Triangles: Ole Miss Adds Four-Star WR Prospect Tre Nixon To Its 2016 Recruiting Class. 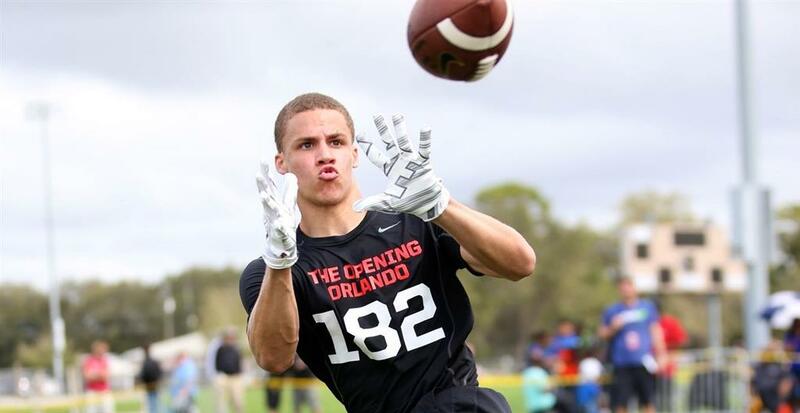 Ole Miss Adds Four-Star WR Prospect Tre Nixon To Its 2016 Recruiting Class. Tre Nixon. Image via 247Sports.com. Ole Miss has added a 21st member to its 2016 recruiting class. Melbourne, FL. high school senior wide receiver Tre Nixon committed to the Rebels on Monday. 247Sports grades Nixon as a composite four-star wide receiver prospect. The recruiting site ranks Nixon at no. 36 among 2016 WR prospects, at no. 29 among 2016 prospects from the state of Florida, and at no. 182 in its composite rankings of 2016 prospects nationally. Nixon attends Viera High School in Melbourne, Fl. He stands 6'1, and weighs 170. "Suicide Squad" Trailer. Because, Why Not? Penn St. WR Geno Lewis Will Transfer To Oklahoma. Vanderbilt QB Johnny McCrary Transferring. Sylvester Stallone Says He Is An Ex-Rambo.